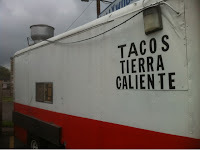 Tacos al Pastor translates to "in the style of the shepherd", are a classic of the taco food truck. I got this "gringo style" with flour tortillas. They were loaded with lots of very tender spicy marinated pork. Very very spicy actually. 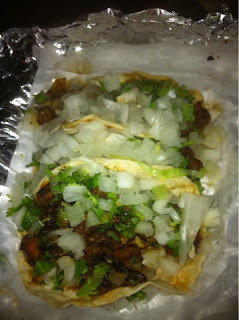 The tacos were topped with plenty of cilantro and onions. They came with a deep dark red hot sauce. Looked yummy. I like spicy so I tried it. WOW the sauce while good, is actually bottled lava I think. Talk about an endorphin rush! 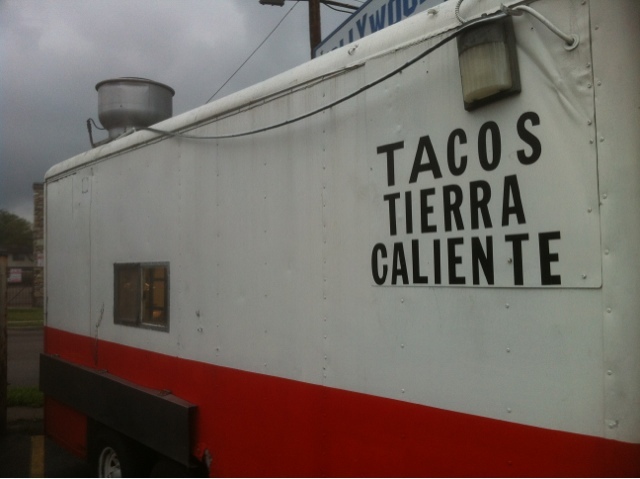 Synopsis: Great Tacos, careful you don't get burned on the lava!